I, along with many others, have been trying to raise awareness about what the global elites have planned for us. The article, A Global Central Bank, Global Currency & World Government, is Andrew Marshall’s recent offering on the subject. We’ve all been forced to play a game of real-life monopoly. The economy today is being milked, and we all are being parasitized by the banks and the government. Ever more people are beginning to understand the mechanics of how this is being done and looking for ways to protect themselves. The entire system of money and banking, with the help of top-level political leaders, has been structured to enable the few to exploit the many. 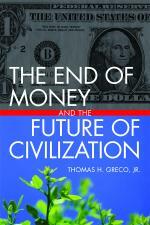 The need is for a fundamental restructuring of money and the exchange process. In the meantime, there are some things that we can do to mitigate the effects of a corrupt system This article that appeared in AlterNet several months ago provides some advice.